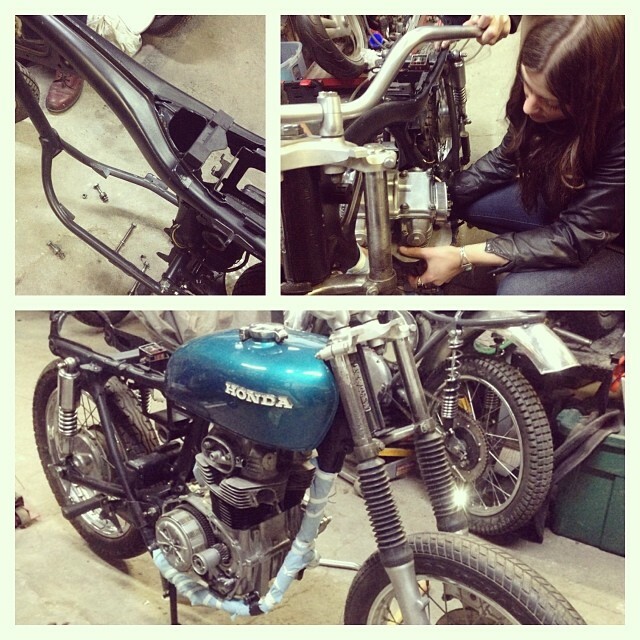 What an exciting week over at Project CB350G. The engine is completely buttoned up, points set, and into the frame she went! As a few folks have mentioned, these engines are a tricky fit, but Stephanie and the team got it wrangled in perfectly, while preserving the freshly painted frame. Such a sense of accomplishment to see the bike start to come together and to know the hardest part is done. Spring is near! 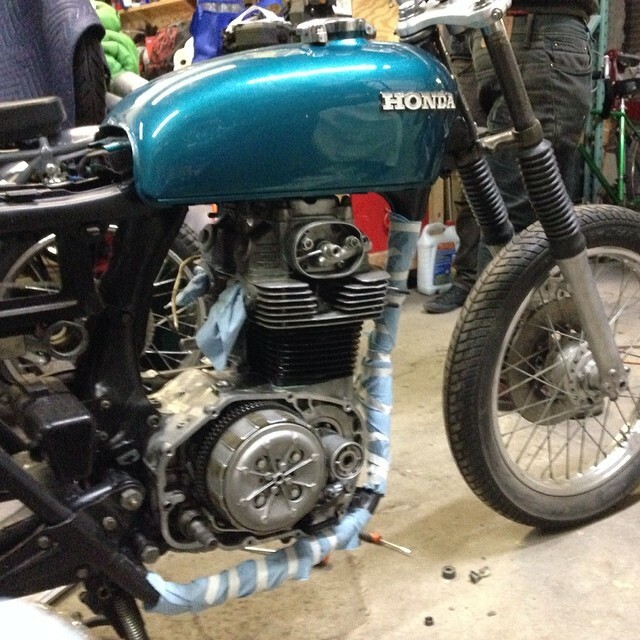 This entry was posted in Project bikes, Wrenching and tagged engine rebuild, garage day, garage girls, honda cb350, miss-fires, missfires, motorcycle babes, the miss-fires, winter project, women wrenching, wrenching. Bookmark the permalink.